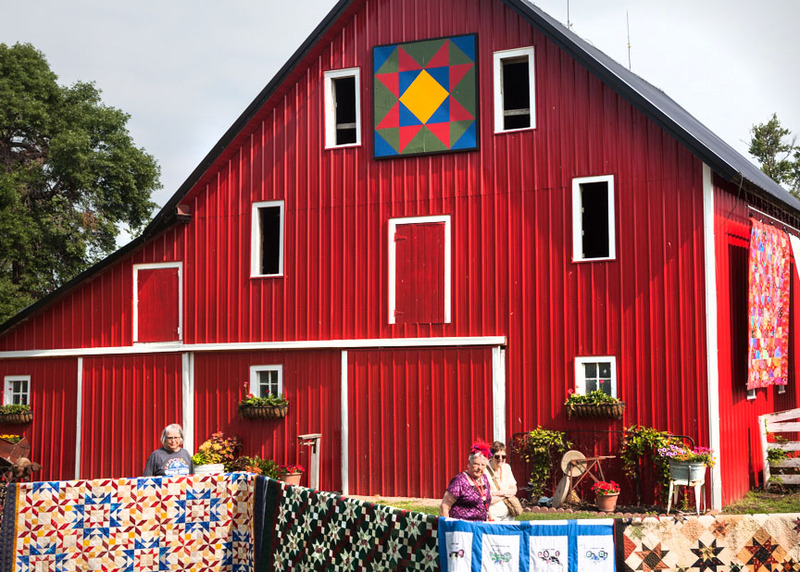 The bright red barn serves as a focal point for quilt and garden displays. 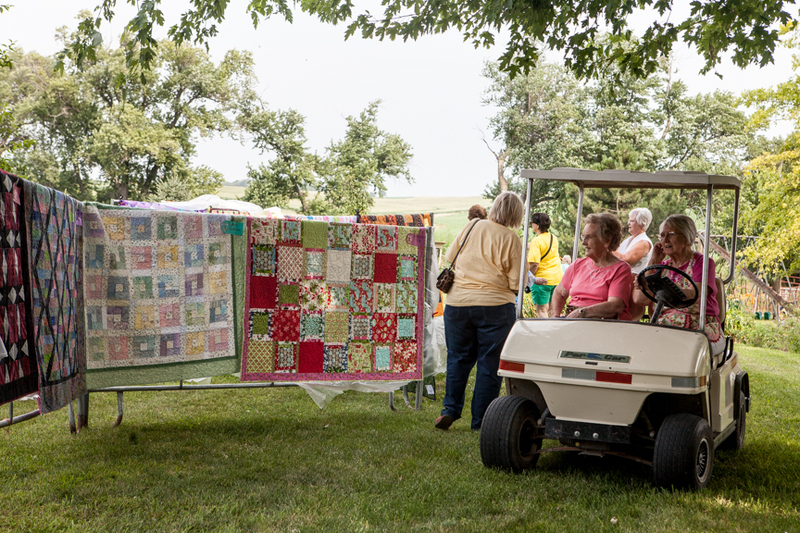 Quilts in the Country, a quilt show and garden walk held Saturday, July 19th at the home of Doug and Teri Wolfe was an absolute feast for the eyes. 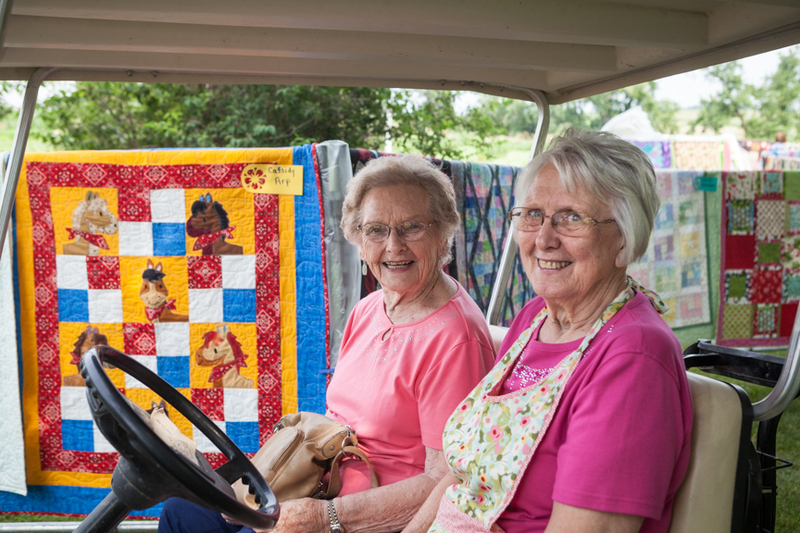 Around 150 handmade quilts produced by family members and friends were displayed on fences, bed frames and throughout the artistically groomed acreage grounds and gardens. This was the third year for the show which is free and open to the public. The Wolfe home is located on County road 21 near the southern edge of Washington County. 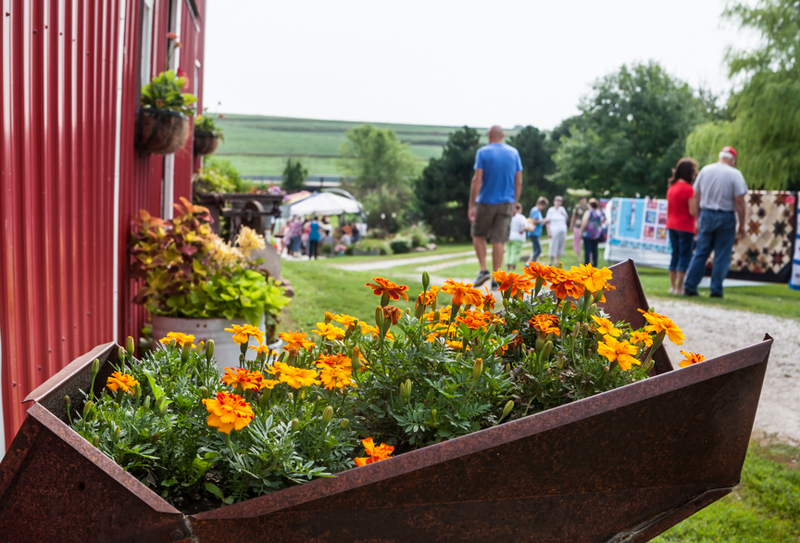 Hand made quilts serve as the backdrop for this garden display featuring an old farm implement and purple cone flowers. 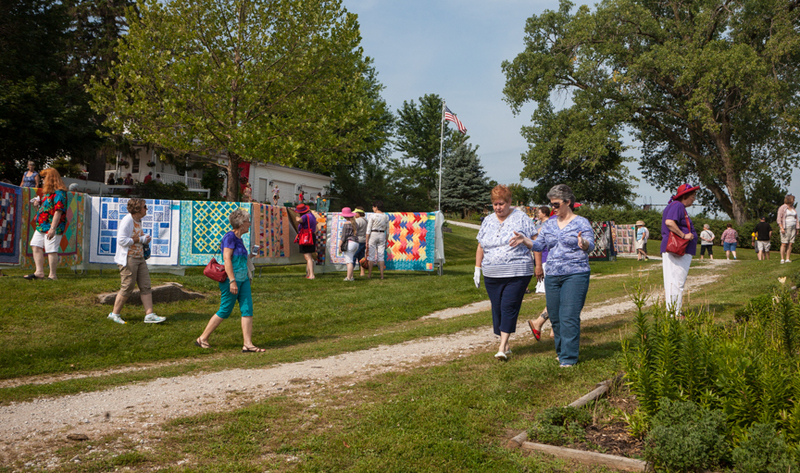 Karen Gingerich and Willa Vesely view quilts displayed on fence railings. 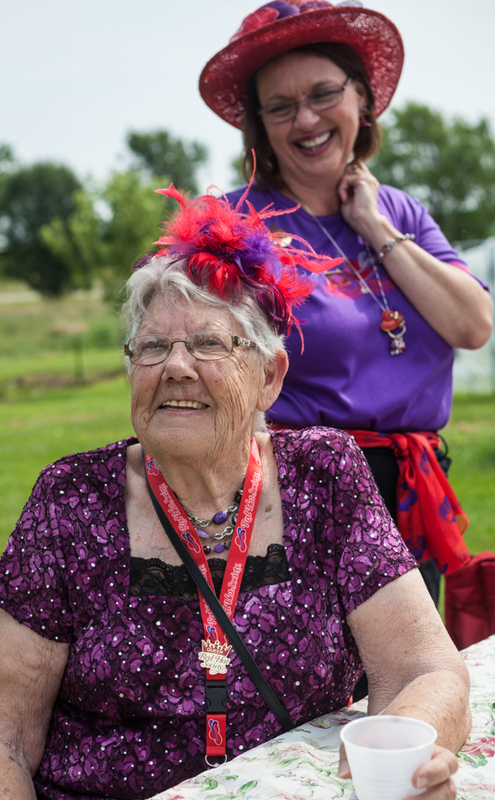 Featured quilter and Red Hat Society Queen Joyce Hill and Cindy Brigham enjoy refreshments. 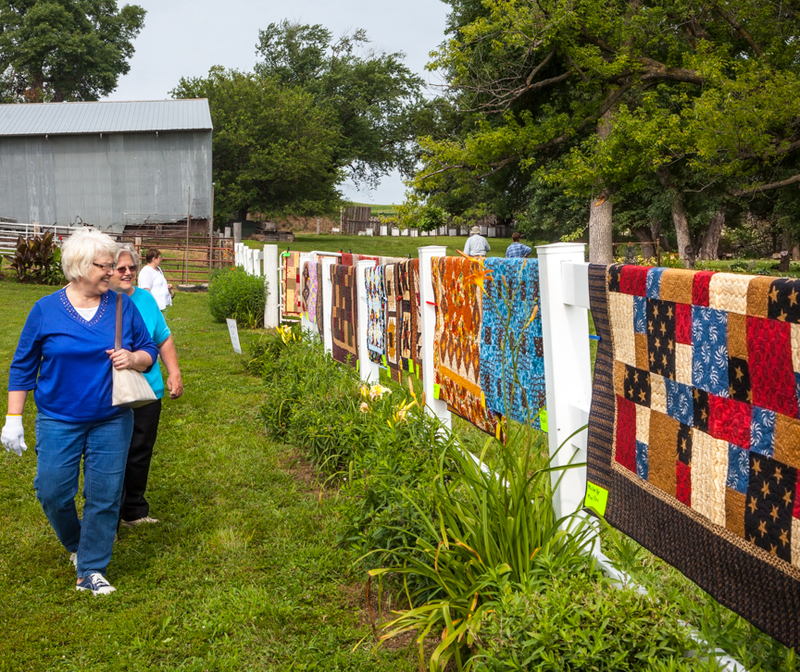 Quilts displayed on the side of a remodeled hog barn. 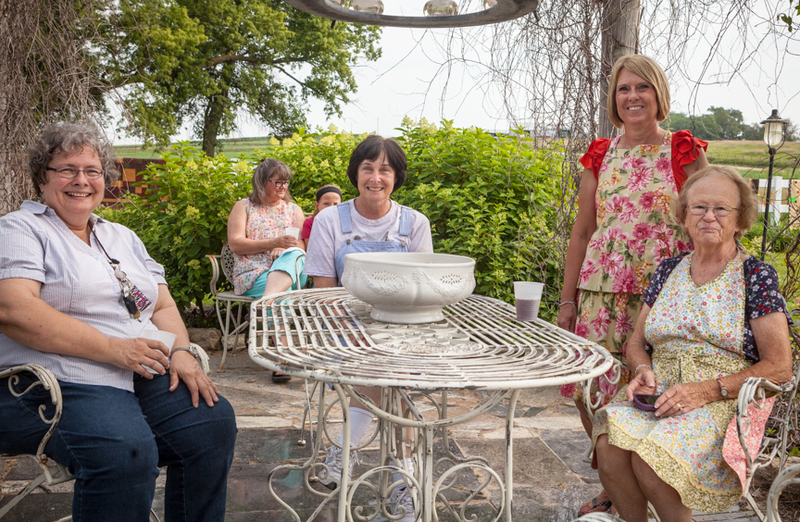 From left, seated, Judy Andersen, Floy Jones and Karen Sorensen talk with home owner and quilt show host Teri Wolfe, standing. 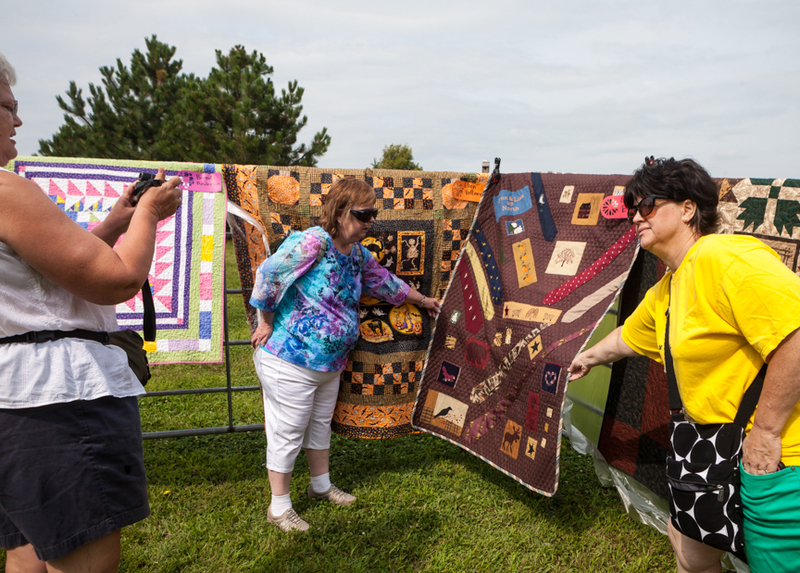 Darlene Harper gives a visitor a tour of the quilt show. 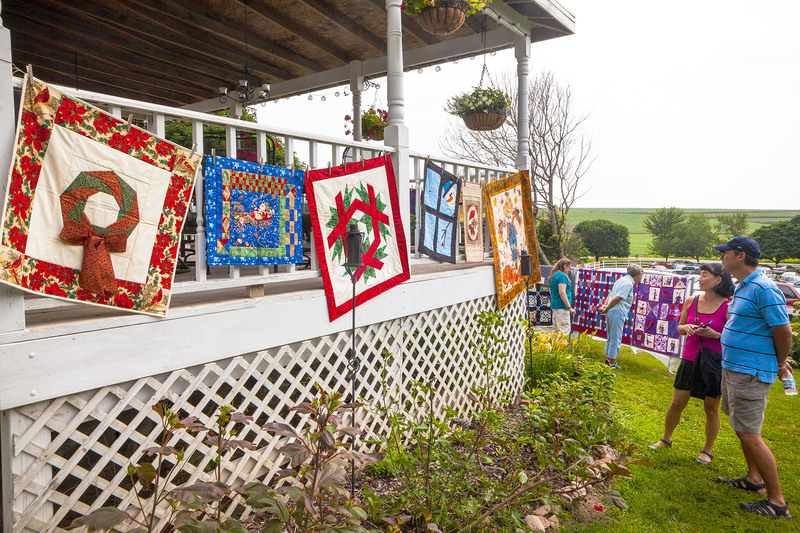 Kim-Jae Kang and husband Jack Kang view quilts displayed from porch railings. 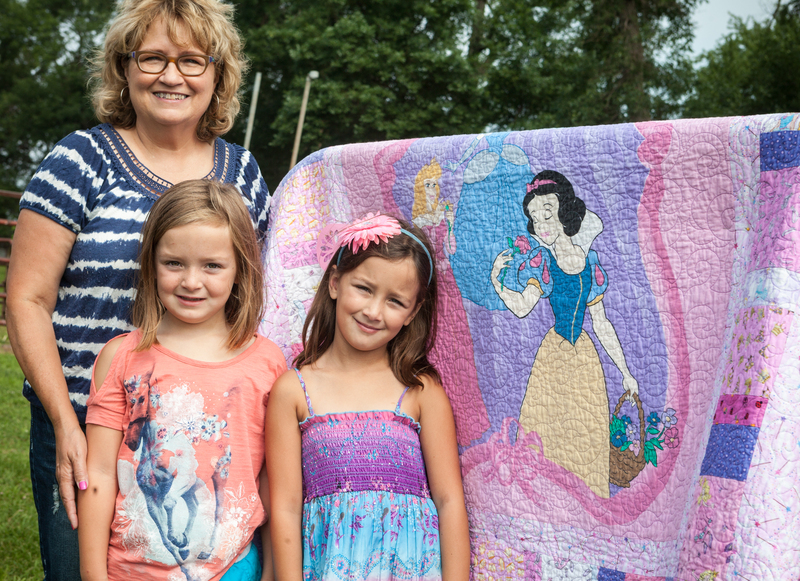 Yvonne Wilson, a member of the Mothers Guild of Boys Town holds a quilt quilt while a visitor takes a picture. 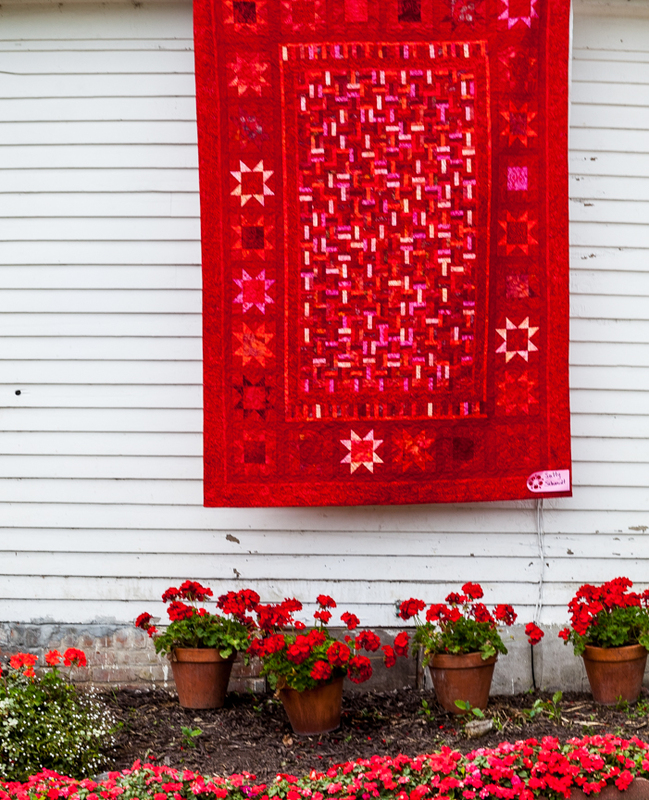 Red geraniums and large red quilt displayed on the side of the Wolfe home. Darlene Harper, mother of host Teri Wolfe, chauffeur’s a visitor.